Austrian polyolefins maker Borealis has inaugurated a EUR100 million catalyst plant at its Linz facility in Austria. It will produce chemical substances – so-called catalysts – utilising the proprietary Borealis Sirius catalyst technology. Catalysts enable a precise alignment of plastics properties with varying demands and requirements and help determine, among other things, the hardness, plasticity and/or elasticity of end products. The start-up of the plant will create 35 new jobs at the Linz location and strengthen Borealis' position along the entire plastics value chain: from research and development into and production of own catalysts, to application-oriented development of innovative end products in close co-operation with Borealis customers. Furthermore, the patented Borealis Sirius catalyst technology enhances the profitability and sustainability of the company in the plastics manufacturing sector. The opening of the new catalyst plant in Linz is a central pillar of the growth strategy within the Borealis polyolefins business segment. Since 2007, the company has already invested EUR50 million in the development of its Innovation Headquarters in Linz, inaugurated in 2009. The construction of the catalyst plant involves an additional investment of EUR100 million. Upon commencement of full operations at the plant, 35 new employees will join the existing 1,250 currently employed in Linz. Borealis Chief Executive Mark Garrett said, "With today's inauguration of the new plant, we are not only strengthening our research expertise, but also our overall leadership role in the area of catalysts. We are positioning ourselves as a powerful partner in innovation in the development of high-quality product solutions. This investment is yet another building block in our global growth strategy and will consolidate our position in Europe." Catalysts are substances required in small quantities for the production of plastics. In value-adding processing, catalysts assist in the transformation of simple raw materials into complex molecules which exhibit a variety of properties for diverse applications. To a great extent they determine the final properties of a product, e.g. hardness, plasticity and/or elasticity. "Catalysts make it possible to form plastics more precisely. This of course means we can accommodate our customers' demands and requirements more precisely as well, which is why catalysts play a vital role in the development of innovative plastics solutions," says Alfred Stern, Borealis Executive Vice President Polyolefins. "The new facility in Linz will make it possible for us to build on the basic research carried out at our Innovation Centre in Porvoo, Finland, by further refining catalysts developed there until they are market-ready. This is an essential step in the development of catalysts and determines the quality and versatility of the final product," Stern adds. "In a sense, one could describe catalysts as the 'heart' of certain polymerisation processes. The new Linz plant enables us to produce catalysts for our own needs, for both production and R&D, and thus maintain total control within Borealis across the entire value chain," Alfred Stern continues. "This gives us both an edge in innovation and a competitive advantage in the market." Thanks to these high-performance catalysts, Borealis can produce in such a way that conserves resources, because larger and higher-quality volumes can be produced using less material. By-products are avoided and specific energy requirements reduced. "With this new facility and investment, Borealis is definitively establishing Linz as a research centre for plastics in Europe," says Gerhard Roiss, CEO of OMV. "I personally find it very gratifying that Linz has seen such positive development in recent years and has now become such a promising research location. The three main factors which have brought this about: first, its heritage as a traditional location for the chemical industry in the 1950s, then the expansion of research and processing in the 1990s, and now, the impact of Borealis research activities in Linz including the promotion of university research," Roiss continued. Construction of the new Borealis Sirius catalyst plant was completed within only two years. "The decision in favour of Linz was made on the basis of a pan-European competition for this location," Roiss explains. "And once again, the province of Upper Austria proved its ability to recognise pioneering developments when they see them and to take the necessary support decisions very quickly. 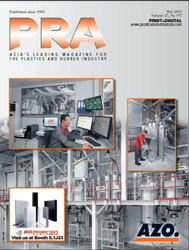 This is yet another milestone for the Austrian plastics industry. Furthermore, the plant will act as a stimulus for the rest of the Upper Austrian economy as well as its R&D and science landscape." "Bolstering the field of polymer chemistry at Johannes Kepler University (JKU) Linz also enhances the appeal of Upper Austria as a location for science and research," says Doris Hummer, member of Upper Austrian parliament and Upper Austrian Science & Research Minister. "Five new institutes of international calibre, all focused on the common theme of plastics and polymers, have now been founded at JKU. In the last five years alone, the province of Upper Austria has invested more than EUR 9 million in creating the requisite research infrastructure," Hummer explains. "The next step will be the creation of a centre for industrial catalysts at JKU. The centre will be funded by the province of Upper Austria and will function as the scientific counterpart to the Borealis Sirius catalyst plant. Even at this early stage, around 200 students are already participating in the programme and by the end phase we expect this number to rise to around 400." "Borealis is a prime example of the ideal partner for Upper Austria as a location for science and research. The close collaboration between science, business and industry has a long tradition in this province," Hummer continues. "And everyone benefits from such collaboration – not only those studying or working at universities but also the scientists at Borealis themselves. Researchers work in fertile environments, and students benefit from the close proximity to research practice." "The establishment of plastics and polymer sciences at JKU has been achieved at a pace unparalleled in international higher education. This illustrates just how much is possible when determined and dedicated partners like Borealis, JKU and the province of Upper Austria team up to pursue common goals," Hummer concludes. The biggest location within the worldwide Borealis Group is in fact Linz, where approximately 1,250 employees from around 50 different countries are dedicated to producing cutting-edge plastics solutions. In 2009, Borealis opened its global research and development centre, the Innovation Headquarters (IHQ) in Linz. Over 450 international experts from over 30 nations work at IHQ Linz in an effort to transform innovative ideas into market-ready success stories. Focus lies on plastics solutions for infrastructure (pipe systems, energy and communication cables), automotive and advanced packaging industries. Schwechat, near Vienna, is the second major Borealis location in Austria. Here, production is limited to that of so-called polyolefins, e.g. plastics which are meltable and ultimately formable once a certain temperature range has been reached. Around a million tonnes of polyolefins are manufactured each year at Borealis, and the Schwechat plant is in fact one of Europe's most modern and important plastics production facilities. In total, around 550 people work in Schwechat in the departments of production, health, safety and the environment, maintenance, procurement, finance and controlling, quality control, logistics, human resources and legal. The Borealis Sirius catalyst technology is at the forefront of polyolefin technology thanks to its outstanding performance and its many advantages in terms of sustainability. Developed by Borealis, the proprietary technology Sirius makes it possible to produce chemical substances – so-called catalysts – with novel properties and in a significantly more efficient way than with conventional technologies. Catalysts determine to a great extent the properties of a final product, for example plasticity, elasticity, or rigidity. Thanks to the high degree of innovation found in this product, the Borealis Sirius catalyst technology is protected by 60 international patents.